It is a difficult task to hand-pick ten top news sites with so many options on the web to choose from. However, the list below, given in no particular order, demonstrates the world’s leading Internet sites for bringing unbiased, informative and up-to-date current affairs information from around the globe. 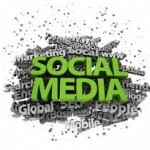 The list is based on the popularity of ratings and highest volume of readers within the World Wide Web communities. 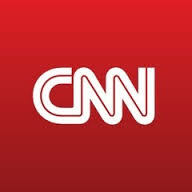 CNN provides continual updates on all the latest breaking news in all continents aided by videos. Audience participation is invited through iReports where new articles are welcomed, after joining the community, with comments and contributions adding to the variety of topics in tech blogs. There is an interesting travel guide offering a wide range of destinations and activities to choose from and reports from international sporting events are also covered. In the entertainment section you can be updated on celebrity events in the world of music and film and also kept informed on top stories under the business tab and through the editor’s choice section. CBS news gives an informative but down-to-earth approach in relaying news. 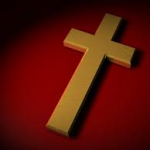 Although it does provide International news, it is mainly based upon current events within the U.S.A. 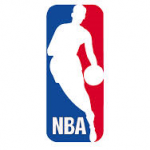 Politics and sport from within the U.S.A. is covered in detail and under the ‘Scitech’ tab you can read about natural phenomena currently occurring and events around the globe within the world of nature. Topics can be followed through ‘webshows’ and it blogs, with finance and politics covered, although not in great detail. Facts on health are also given and under the crime tab you can keep abreast of all the latest developments on criminal trials currently taking place throughout the U.S.A. This is a top site for financial information as economics, futures and commodities are reported upon in great detail and depth. Changing situations within the markets around the world are constantly updated ensuring that the latest figures are always accurate and under the ‘money tab’ much information can be gained from the many reports and topics that can be read. International news from around the globe can be individually selected from country to country. Breaking news is reported and updated as it occurs with comments and articles added from re-known leading journalists. Under the ‘tech tab’ you can find information on the latest developments in the world of technology through informative videos and photographs from award winning photographers, making Reuters stand out as one of the top top tech sites both in content and presentation. World News aptly achieves it name from the volume and amount of news topics that are covered from all corners of the globe, with useful links enabling easy access for viewing all current events. Videos add further detail and insight into breaking stories and entertainment, sports and business are covered, but not to a great extent, as the main focus concentrates on world events. With travel in mind, there is a useful tab for selecting the weather forecast for any area in the world. 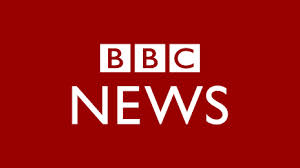 The BBC, or ‘Auntie Beeb’ as it is affectionately known as, has been reporting news for decades and this is reflected in the well-constructed web-site. Current affairs and breaking world events are demonstrated using videos and reports from leading journalists, while continents can be selected individually in order to view the latest reports which are continually updated. Health, business, entertainment and the environment are also covered and special reports can be viewed in pictures from award winning photographers. You are invited to start up blogs and topics under the ‘have your say’ tab and also contributions are welcome in the Editor’s blog which is a recent addition. There are quizzes to enter and a wide range of articles to read in the Magazine section which gives the site an informal and inviting approach. On this news site, stories can be selected by a drop-down option for individual countries and in a wide variety of different languages. There are many topics and current events which can be viewed, however, only ‘snippets’ are given and the links that are inserted should be used to gain further in-depth information. There is a wide range of entertainment topics, with reviews on films, celebrity gossip and current ‘spotlight’ events. Sports, Health and Science can also be selected and the site is viewed by a wide audience largely due to its’ informal approach. The Yahoo News site depicts the news in a similar style to Google News but in greater detail. International news on individual continents can be selected but the main focus is concentrated on U.S.A. events and the sports section in particular. The entertainment section gives great variety along with science and health, providing topics and articles with appeal to all family members. Under the ‘tech tab’ you can find useful information for the latest technological developments and blogs can be followed easily through twitter and facebook. 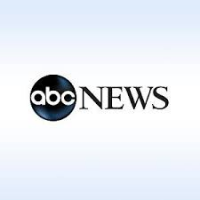 ABC news mainly focuses on current events within the U.S.A. but coverage of international news headlines is also given. Entertainment and health topics are covered and useful tips and articles can be found under the ‘investigate tab’. Financial and Health issues offer interesting articles for perusal, mainly U.S.A. based, with useful guides, facts and advice being offered under the ‘travel tab’. 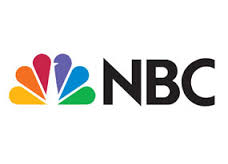 NBC covers international news and U.S.A. news in an informative and precise manner. All news topics from around the world are covered in the business, health, entertainment, sports, travel and weather selection tabs, aided by stunning photography. Top tech stories and space travel articles can be found in the tech and science section and trends in the financial markets are constantly updated. Time.com supplies up-to-date news from around the globe through ‘newsfeed’ and offers information and facts on politics, business, health, entertainment, sports and science. Articles and opinions are offered from top journalists and there is an in depth guide to current fashion trends and style making it a popular site for ladies.